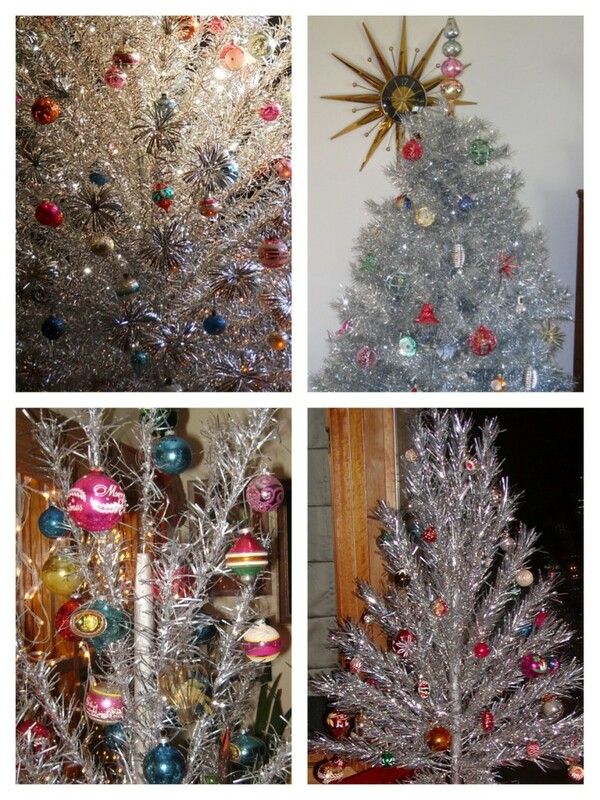 Do you have your tree up? How about cookies baked? 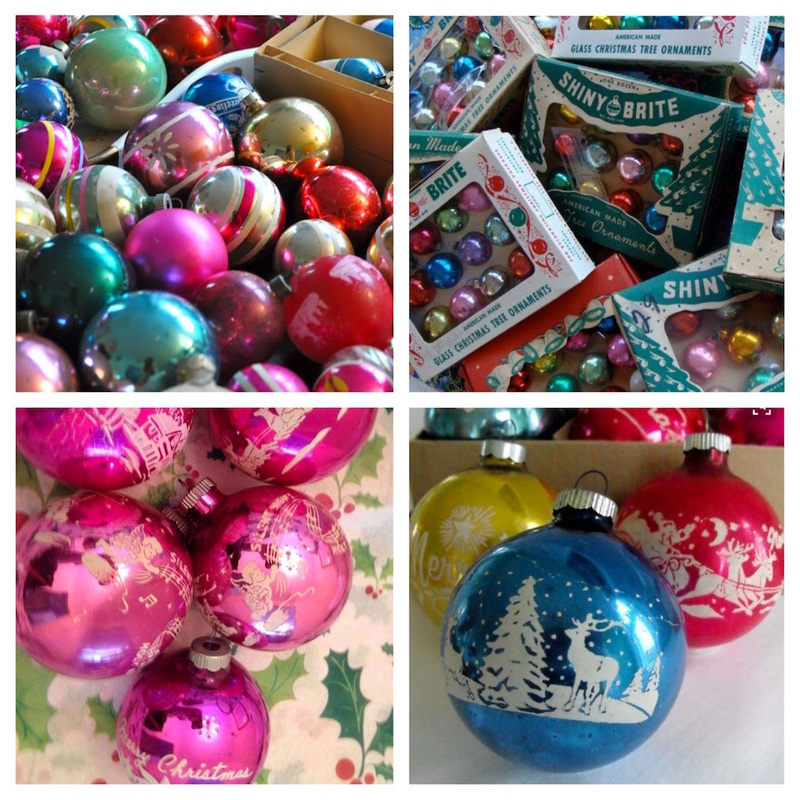 Are you ready to wrap those gifts you scooped up Black Friday and Cyber Monday? Or, have you put a wreath up on your door? If you’ve answered ‘No’ to most of these then have no fear, Yasmina is here. 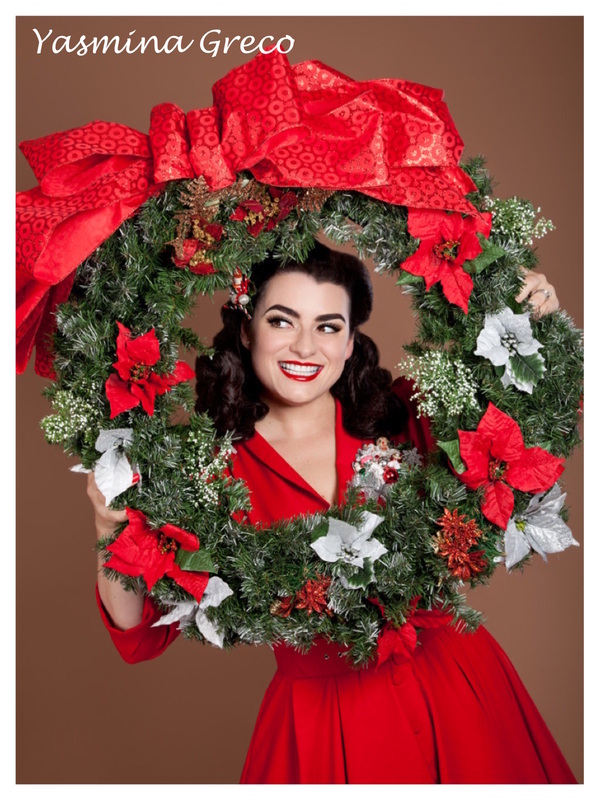 I’ve assembled some tips and resources to help you have the vintage Pinup Girl style Christmas you’ve dreamed of. Now that your tree is up and you are feeling festive, you’ll need to add some wrapped packages to the bottom of your tree as the days start getting closer to Christmas. There actually are options if you want to go 100% vintage 1950s. eBay, has a nice selection of 1950s wrapping paper. I actually purchased several rolls this year and can tell you that when the paper arrived it was much duller in color than I was expecting so, please keep in mind that the colors might not be as bright and vivid as they are online. If you want fun gift wrap with the same vintage mid-century modern print then try Zazzle as this site has a bunch of options and I ordered some rolls from them and was really happy at the quality and bright colors. Ok, if you want to give your packages that ‘Pinup Girl Flare’ then you’ll want to wrap using paper that has Pinups on it. 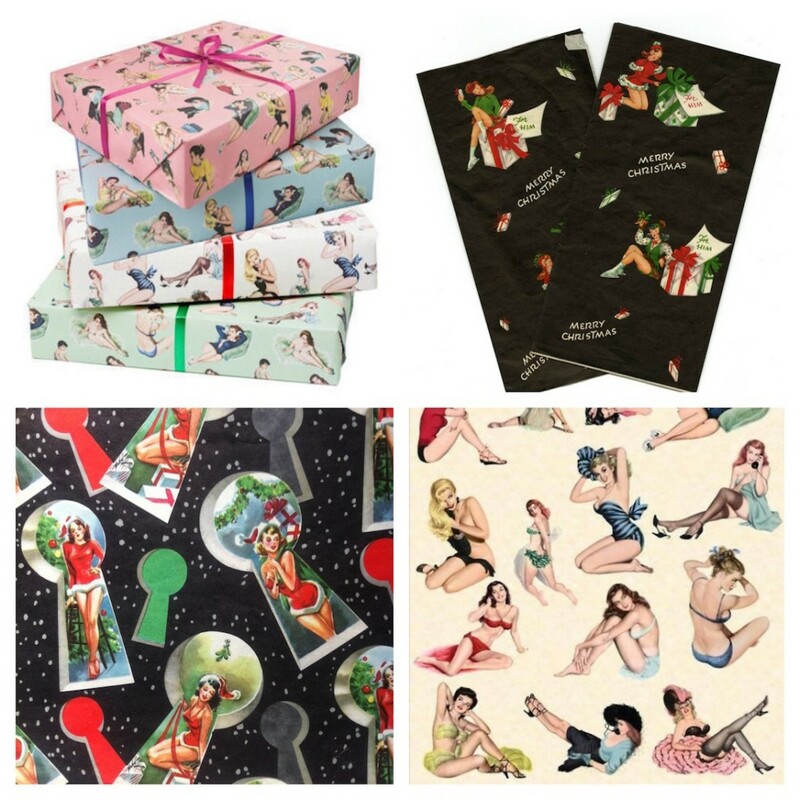 I found these fabulous Pinup Girl wrapping paper selections on Pinterest and you can find the websites there. Now for one of the tastiest parts of Christmas…. the cookies! You can find traditional, vintage 1950s cookie recipes here her ‘1950s Christmas Cookies‘. We’ll be starting our holiday baking this weekend so I will do a post on the cookies we baked. Also, why not add some fun shapes to your cookies with some neat cookie cutters in the shape of a Pinup Girl, flamingo, anchor and skull-cross bones. 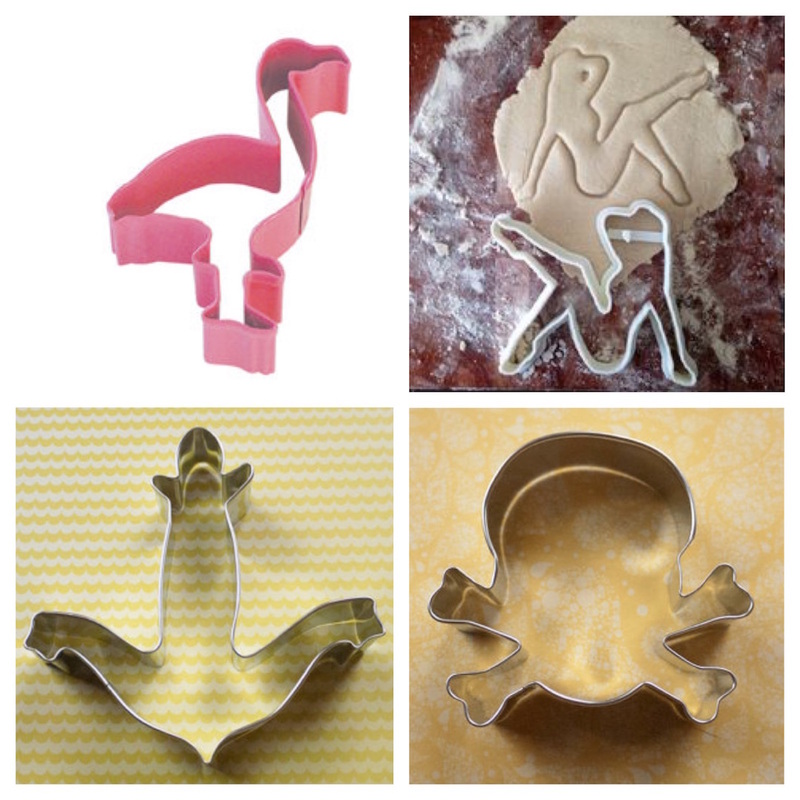 With these cookie cutters, your cookies will certainly stand out at your cookie exchange!! Etsy has some great selections for cookie cutters. I have a special Christmas photo shoot I am wrapping up so stay tuned as I will post pics shortly. Hope you are all doing great are ready for Christmas! !